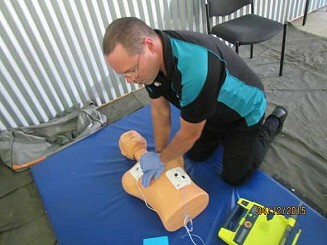 Our CPR (including Defibrillation) Course covers the required skills & knowledge required to safely provide a first aid response to a casualty in line with the Australian Resuscitation Council (ARC) Guidelines, and provide Automated External Defibrillation (AED) until the arrival of medical assistance. This course is ideal for the 12-month CPR/Defib refresher required for people holding their First Aid certificate for work purposes, or for people who would just like to have this life skill. Participants must be competent in written and spoken English (Students are required to undertake a Language, Literacy, and Numeracy test prior to commencing the training). This course requires participants to be able to respond to an emergency, perform CPR procedures, assess the situation (for AED), use an automated external defibrillator, and communicate details of the incident. Participants are required to complete CPR Knowledge Quiz Questions during the course. Participants are required to complete a short multiple choice assessment for both this CPR (including Defibrillation) course. This theory assessment is a CLOSED book assessment. Participants are expected to demonstrate their knowledge & practical techiniques of administering CPR & Defibrillation in a variety of scenarios. In line with Australian Resuscitation Council guidelines, CPR & Defibrillation skills are recommended to be renewed every twelve (12) months to maintain competency. "Very thorough and enjoyable, makes learning a lot easier." "I enjoyed the course. It was well explained and I felt well prepared before entering it on the day." "Venue was good. Lighting, temperature & space good. All staff were efficient, friendly & helpful. Course was interesting & concise." "The training provider was excellent, small classes were great, a very good CPR refresher. Nice and local too." "Very informative, answers all questions according. Appropriate materials to provide full content of CPR course." "Enthusiastic, eager to share education for the better of the community, attention to detail and knowledgeable - all things All Skills do very well. Thanks for helping refresh my CPR knowledge!" "Thank you to All Skills for delivering such a wonderful, easy to follow and interactive training session." "Easy to follow, well instructed and all bases covered." "The course was very professionally presented. (The trainer) showed great knowledge and passion." "I was quite anxious with this course but it was so relaxed that I recommend this to anyone. Great experience." "Certainly - promote it. It will save a life. Course is very good, clear and easy to follow." "All Skills Services provides an informative CPR Refresher Course. Has given me the renewed confidence to provide CPR in the event I need to." "As usual, loved the day. Very imformative. Great day!" "A well run CPR course, professional organisation with knowledgeable and skilled trainers." "I would highly recommend All SKills, true professionals." "The course was very informative & helpful. Easy to understand." "Very informational and would recommend to others." "Course very good and informative." "After training, I am confident to perform CPR & First Aid." "Very efficient, yet everything seemed to be covered in detail." "Very well explained and great to see real life scenarios." "Great. Good revision. Good time frame." "Well explained course. Very happy with outcome." "Very thorough. Enjoyable course too!" "Thank you! A very informed course. Good to see passion in what you're informing people about CPR. Keep up the good work." "This is proper training, not reading out of a text book by instructor. The most relevant & inspirational course I have ever completed in relation to First Aid/CPR." "Finally, someone who tells it like it is. And who does the training properly, instead of just "ticking the box." Thank you for giving me the right knowledge to be able to do things confidently, and doesn't fill my mind up with unnecessary rubbish." "This course is accurate & to the point but in a very clear understanding way. It is good to see things being explained & demonstrated clearly until understood by all & not just brushed over & signed off." "The course was well run and the trainer knew what he was talking about and ran an interesting training course. And I would recommend it to anyone." "Great course. Learnt heaps. Well explained by instructor." "Very happy with training and will hopefully be back." 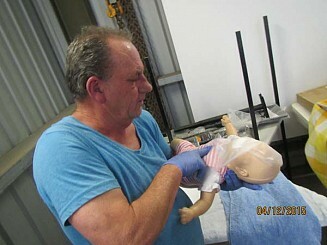 "(The trainer) covered everything in CPR refresher course. 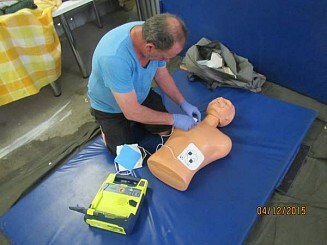 It was the first time I have seen a defibrillator attached & to have it applied whilst particpating in CPR. (The trainer) was a very good instructor." "(All Skills) were great. Lots of information and helped out when needed." 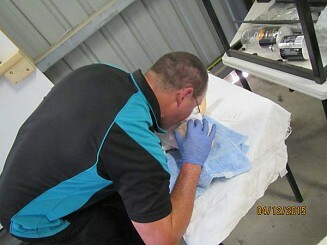 "(All Skills) very efficient, conscientious & knowledgeable about this course. 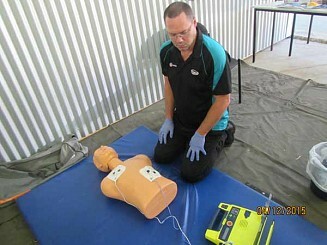 Today I learnt how to use a Defibrillator which is very important. They run their business like a well oiled machine." "A very informative session. (All Skills) did all they could to provide CPR training at very short notice." "(The trainer's) teaching technique is incredible. Confident to perform CPR if situation was to arise - God forbid." "Very well presented, easy to follow. Also very accommodating and did well to fit me into the course at short notice."